The strut mount line is a series of pieces that work in unison to provide areas of assistance between the strut assembly and the vehicles body. First, it provides a locking mechanism to lock the strut and body together. Secondly, it provides a noise dampening system to prevent noise and vibrations from the road from making their way into the vehicle. 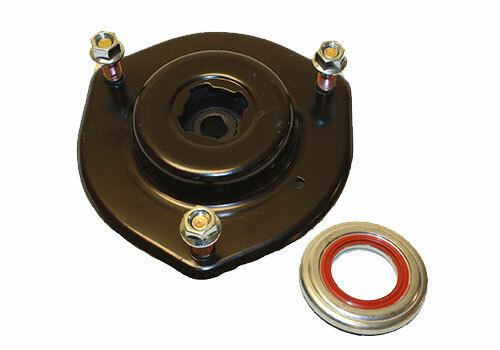 The strut mount also provides a pivot point for the suspension to rotate on. This pivot point allows the suspensi0on to stay within the correct dynamics to aid in steering and tire / component wear. Westar understands the importance of quality. All of our product is designed to meet or exceed OEM specifications on quality, fit, and function. Our factories use only top quality components, and manufacture to strict ISO, QS, and TS Standards, and testing. We use only the highest grade rubber and steel designed specifically for your application, and apply a finish that will not only enhance the appearance of the mount, but will also help to extend the life of the mount. All bearings are manufactured to the OEM specifications to ensure smooth operations. 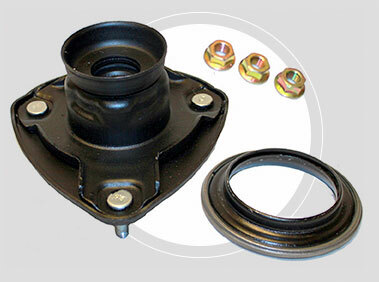 We currently carry over 700 SKUs in suspension strut mounts and counting. We are aggressively releasing new part numbers every month. Westar not only covers the strut mount and bearing, but also carries coil spring seats & insulators for strut assemblies to assure a quiet ride.